Hello again! I am back with tonight’s dinner. We had a couple of close friends over for dinner. Basically, they are family. The girls LOVE them! They are considered uncles =) I made a simple roast chicken dinner with some veggies, rice, and bread. It was a hit all around the table! 2 whole chickens broken down- Much quicker cooking time! You can have the butcher cut one down for you if there isn’t one already available. 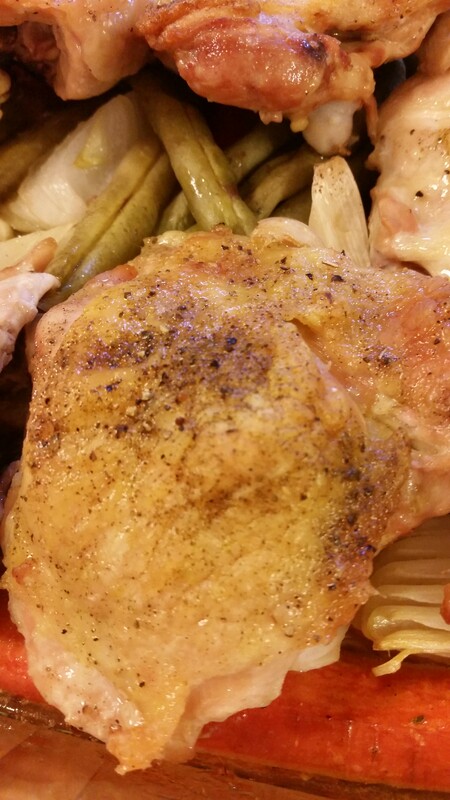 Place Chicken on top of veggies in a roasting pan or large casserole dish and cover with seasoning, liquid, and oil/butter. 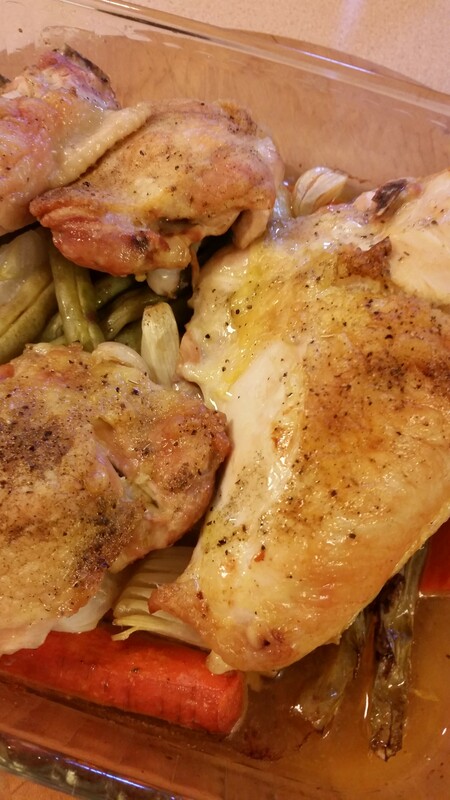 Since I had 2 chickens, I used 2 pans and divided up all the ingredients. 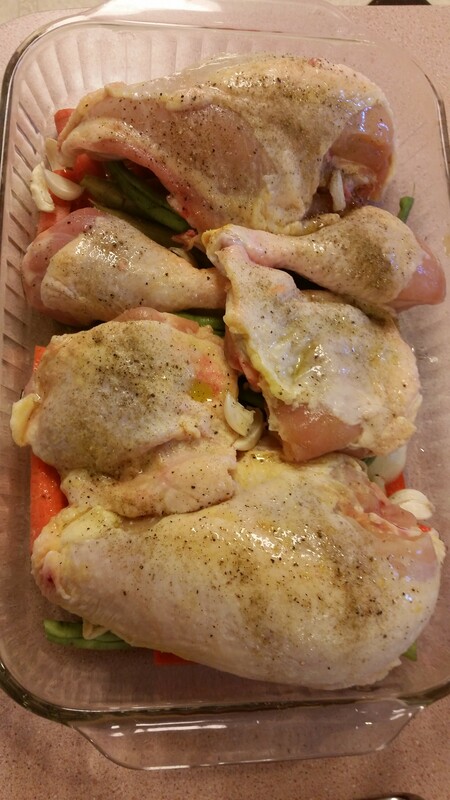 Cook at 350 for about 45 minutes or until chicken is cooked throughout.